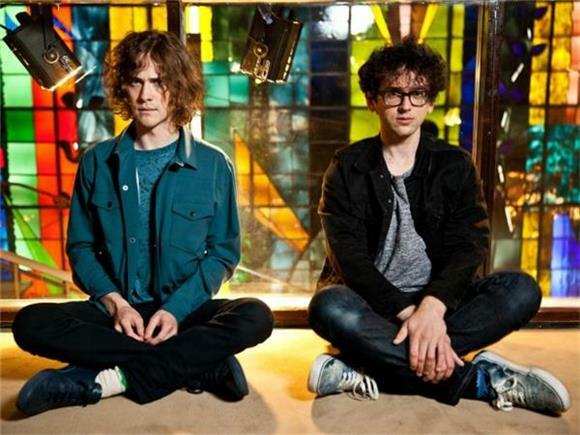 Psychedelic rock/pop band MGMT hasn't put anything out in a while, but they promised us that 2016 would be their year. Finally, more than halfway in, they delivered a cover of "Goodbye Darling" by the late Alan Vega from 1983's Saturn Strip. The legend passed away on Saturday at the age of 78 peacefully in his sleep, and this cover is a beautiful tribute to him. Vega was the frontman of the band Suicide, an iconic New York-based proto-punk band that set the bar for the electronic and punk acts that succeeded it. "Alan Vega was the quintessential artist on every imaginable level," his family wrote in a statement released on Henry Rollins' website. "His entire life was devoted to outputting what his vision commanded of him." The musician and artist was working until the end. Many other artists have also released tributes to Vega -- Arcade Fire frontman, Win Butler, put out a remix of "Dream Baby Dream" by Suicide on SoundCloud, and Bruce Springsteen posted a eulogy along with a video of his own cover of the same song in 2013.